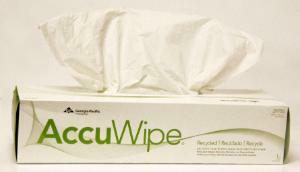 Soft, non-abrasive, low lint and absorbent, these single-use wipers are ideal for delicate or critical cleaning tasks. 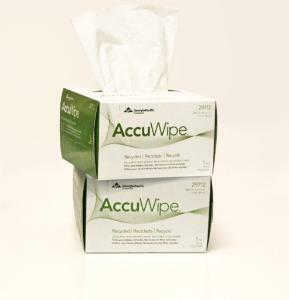 Use on lenses, precision parts, and instruments. 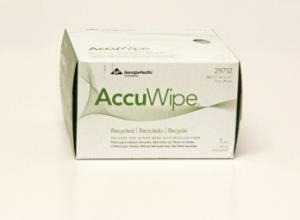 AccuWipe® 1-ply recycled delicate task wipers deliver low-lint, low-contaminant performance across a variety of industries and diverse applications. 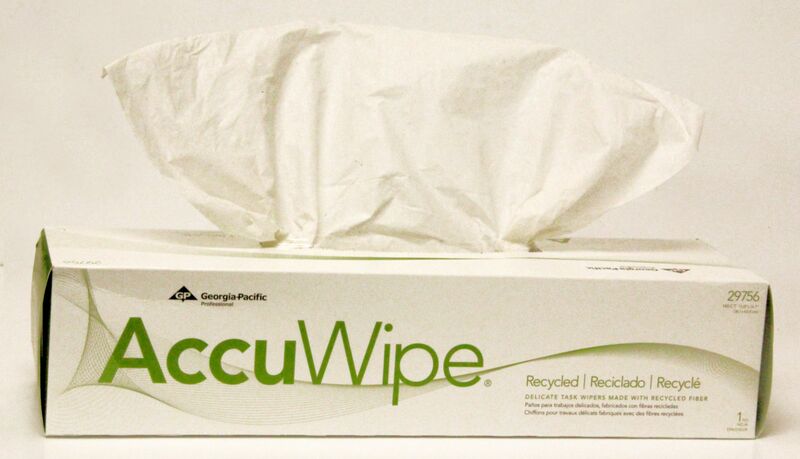 These convenient, "lens", single-ply wipers offer superior conformity, making them ideal for the most delicate tasks. Anti-static poly-shield minimizes electrostatic discharge to protect against damage to sensitive electronic parts. 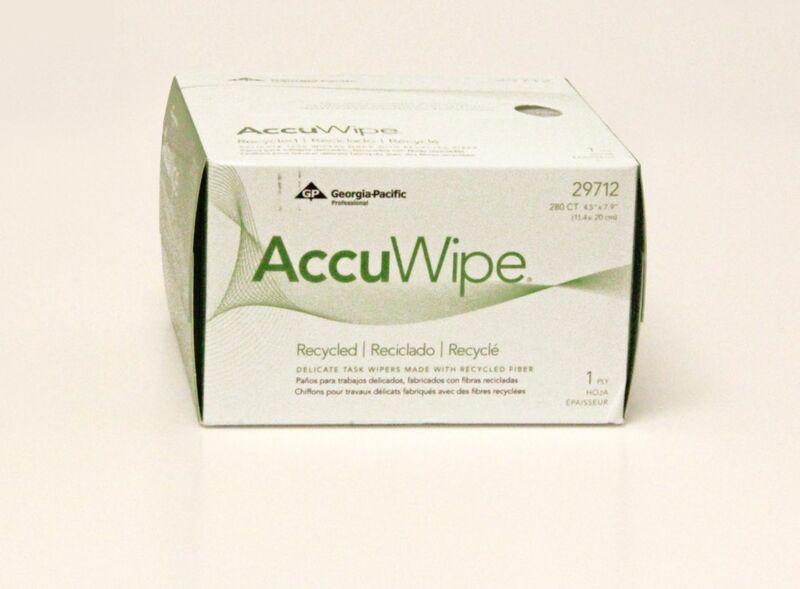 Soft, non-abrasive, pure fiber paper offers greater absorbency and streak-free cleaning for compatibility with many hard polycarbonates and glass surfaces. 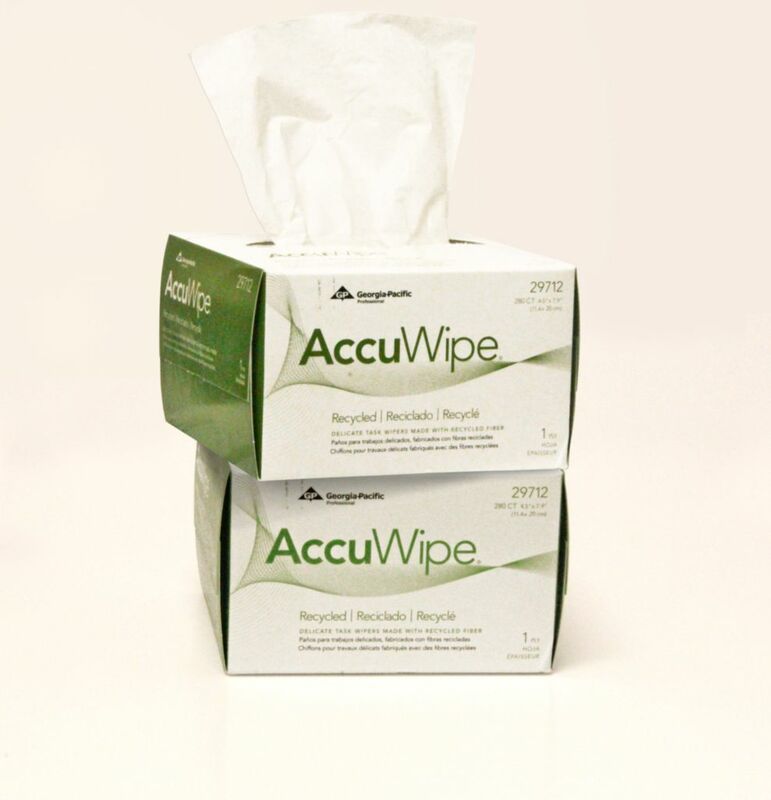 For added convenience, these wipers can be dispensed directly from the protective dispenser box, or used in lens cleaning station dispensers.